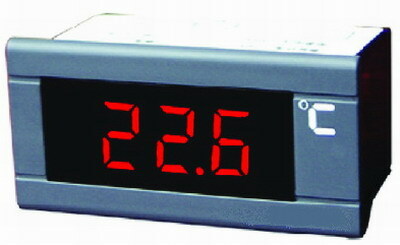 Feature: Two-digital LCD display . Insert panel. simple appearance, install easily, two button batteries, used for longer time. Choose to use C/F function or ON/OFF function.. Feature: LCD display. Insert panel. Simple appearance, two button batteries, used for longer time, Choose to use C/F function by button. 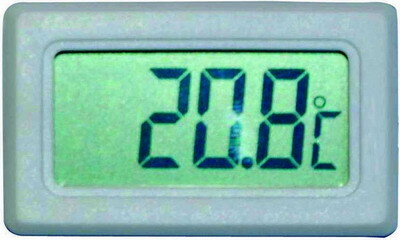 Feature: LCD display. Insert panel. Simple appearance, two button batteries, used for longer time, Choose to use C/F, HOLD or ON/OFF by button. 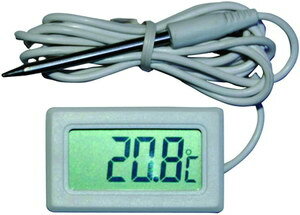 60mm stainless sensor probe, easy to near the high temperature point, more accurate. 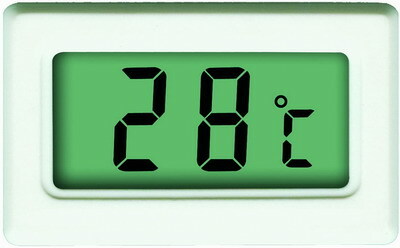 Feature: LCD display. Insert panel. Simple appearance, two button batteries, used for longer time. Feature: LCD display . 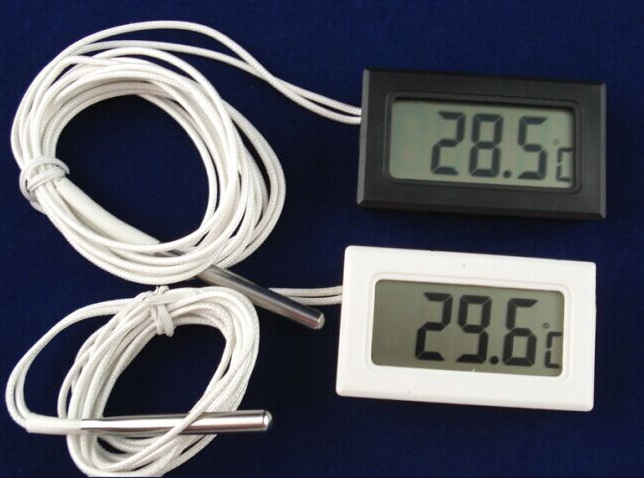 One place temperature measurement, and novel appearance, install easily, Suitable for car-refrigerator and freezing cabinet. 2. You can make the choice from black, red, white and yellow. 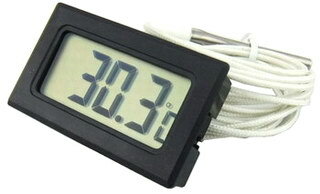 -LCD displays measured temperature value. -Embedded Panel, easy to install. -Power supply: 1.5V LR44 battery. 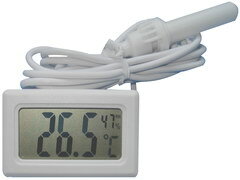 -According to the customers needs, changing the external sensor cable length (standard length is 80cm). -Standard black and white two colors to choose from. 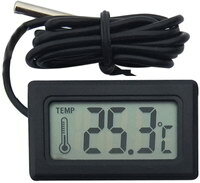 -According to the customers needs, changing the external sensor cable length (standard length is 80cm)..
-LCD displays humidity measurement values. 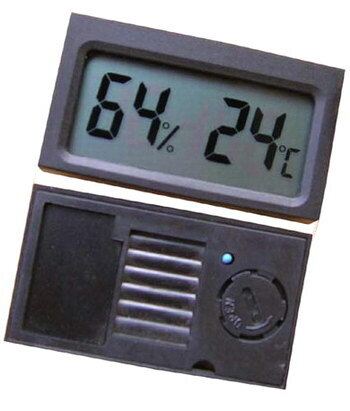 --LCD displays humidity measurement values. -According to the customers needs, switch to an external sensor. Suitable for dry cabinet, Cigar box/cabinet. 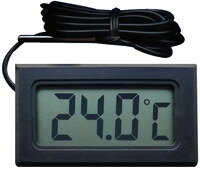 -LCD display the measurement of the temperature and humidity values. Suitable for dry cabinet, cigar cabinet/box. 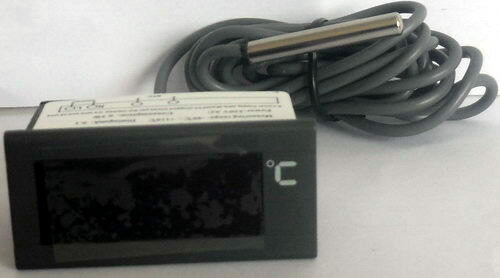 It can be widely used in electronic equipment, household appliances, mechanical equipment, is the ideal thermohygrometer module. 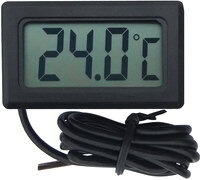 Feature: LED display, Insert panel, simple appearance, super small design, display EEE when probe error (exceeding temperature). -Super-small size, easy to install. 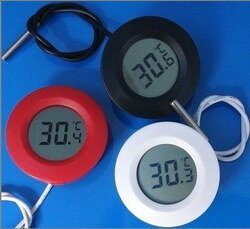 Suitable for all kinds of refrigerant equipments such as refrigerant cabinet, display cabinet and so on. 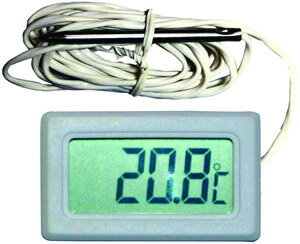 -Temperature measuring and displaying range: -30ºC~+110ºC.